Family mediation is a private process aimed at enabling separating or divorcing couples and parents to reach agreement on how to care for any children of the relationship and how to share joint property. The mediation process may start before court proceedings are initiated or afterwards. 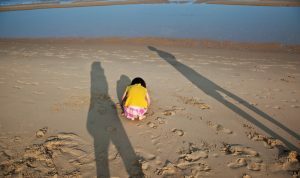 Research shows that children are most affected by separation and divorce when they experience conflict around them, and become aware that their parents are unable to agree about what is going to happen to them. Court battles are very costly and may increase the bad feeling between parents. Mediation offers a private place for parents to talk through the arrangements for their children, with the support of a mediator. Mediators do not tell you what to do, but help you make decisions for yourself. Confidentiality means that what is said or written during mediation cannot be used in any court proceedings and can only be shared by the mediator during the mediation with consent form the relevant party. The mediator will act impartially and neutrally and will help the parties to find solutions but will not give advice or impose their views on the parties. The parties to a mediation must embark on the process willingly and with a view to reaching a solution to whatever issues there are between them. This is likely to involve compromise on both sides. 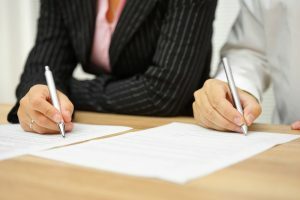 Mediation is a flexible process and the parties in dispute will have an equal opportunity to participate in the mediation with legal advice if they so wish. Generally mediation will be significantly less expensive and less emotionally draining than protracted litigation. Equally important is the fact that in mediation parties can reach their own settlement and resolution rather than leave it to a judge to do so. Typically a judge will have limited options available when being asked to rule on the respective rights or parties whereas in mediation the parties can be as creative as they wish when crafting solutions. Ultimately all agreements reached in mediation will have to be approved by a judge which means that fairness and ensuring the best interests of children are considerations or paramount importance. If you are in dispute with your ex, or are having difficulties settling your separation, you may be thinking about court proceedings. But you may be required to attend a Mediation Information Assessment Meeting (MIAM). The aim of the meeting is to see if mediation could be used to resolve your difficulties, rather than to court. The meeting can be between the mediator and just you, or with your ex-partner too. The meeting usually lasts around 45 minutes.